LATIN GRAMMY WINNER 2010 Best Classical Album! The Second Quartet (1968) titled “Rem Tene Verba Sequentur” (Know the Matter and the Word will follow) is a work where the composer investigates the world of aleatoric music and improvisation. Aleatoric music  from the Latin word “alea” = dice  is music in which some element of the work is left to chance, and left to the determination of the performer. The Second Quartet is composed in a single movement. Every performance is different, as the quartet musicians are asked, and dared, to make musical chance choices. They play together, they might stop, and even argue. A percussion instrument is used to mark all of the interventions which form the work. This is an idea taken from the use of percussive instruments in Japanese “Kabuki” theater. 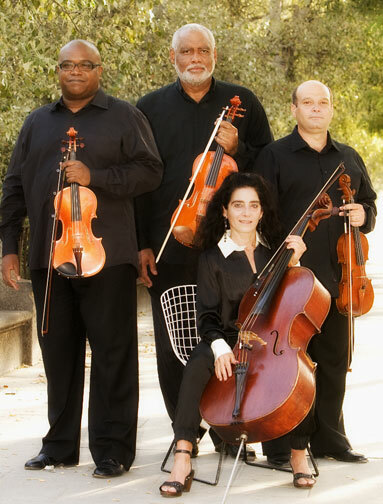 In the Fourth Quartet, “Rem Tene Verba Sequentur II” (2007  World Premiere Recording), the composer adds technical resources found in the Second and Third Quartets and expresses it in a more condensed form. Through the use of improvisation and the composer’s suggestions of certain fragments found in music’s universal repertoire, the listener is presented with a single movement that imitates the flavor of popular music in Cuba. In the score it is particularly the second violinist who is instructed to improvise. Eugenio Valdés Weiss does this in this premiere recording with spontaneity and flair. 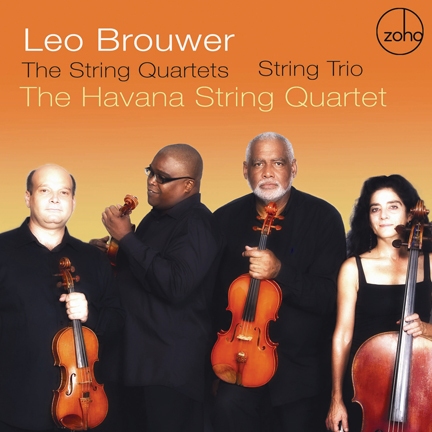 The Havana String Quartet. Cordoba, Spain, 2010.